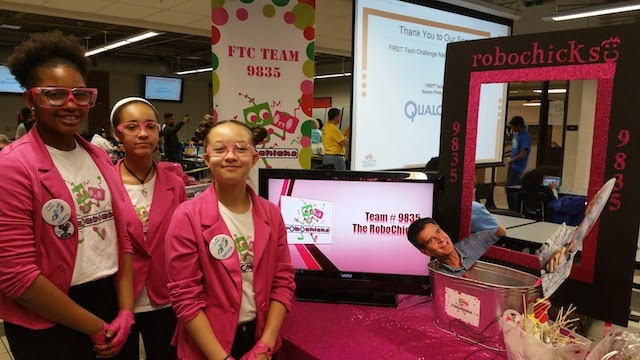 Leilani Linehan, Courtney Curtis and Madison Kenney of the Robochicks competed Dec. 10 at the FIRST FTC RoboDragons Qualifier at the Gwinnett School of Mathematics, Science and Technology. The girls won the Motivate Award, placed seventh and won their bid to the state competition. The RoboChicks are a Girl Scouts of Greater Atlanta sponsored team that has competed in robotics competitions since 2012. During those years they have competed in FIRST FLL, Seaperch and FIRST FTC. They are gearing up for their second FTC qualifier Jan. 28 and the state competition Feb. 18 at Clayton State University.